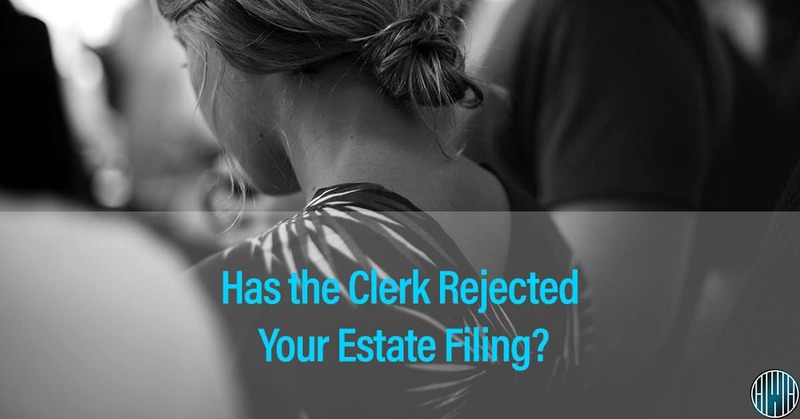 Has the Clerk Rejected Your Estate Filing? The term “probate” sums up the legal processes that determine how an executor should distribute a deceased person’s assets. Understanding Probate, if you still have no idea what it is, should be your main priority if you are appointed an administrator, executor, or personal representative of the estate. Having little knowledge about this process will not cut it when things become more intricate than expected. Being a Personal Representative of an estate comes with a handful of duties and responsibilities. Contacting authorized persons (creditors, IRS, heirs, etc. ), filing petitions, and publishing a notice in the paper are some of the tasks lined up. You will also have to secure, sell, or lease the property if needed. There are times during the procedure that you will have to face complex legal proceedings. The Clerk of Court or Probate Judge, for one, takes timely filing of the required documents seriously. To make matters worse, making multiple submissions to the court is typical. Necessary papers must be submitted to open the estate and begin the probate process. More documentation may be required a few months later. There are also documents to submit every year to update the status of the estate assets. The Clerk’s office audits these documents and will not hesitate to reject them if there are incorrect or missing items in forms and attachments. Clerks would often provide guidebooks or checklists that summarize the requirements and procedure. These are simplified versions of the entire operation and rarely tackle the hard stuff. 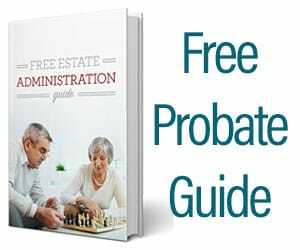 Many issues often arise during the probate process, and you will find these guidebooks almost useless to resolve critical matters. While it is the best practice to get help on the front end, we are aware that this is the age of DIY (e.g., HGTV, Pinterest, LegalZoom, etc.). A growing portion of our probate practice involves helping people “clean up” estates that are not passing the Clerk’s audit. How that is accomplished depends mostly on the nature of the problems and the people involved (beneficiaries, creditors, etc.). People do not need an attorney to handle every legal matter in their lives. Lots of individuals handle their speeding tickets, divorces, or taxes without an attorney. The same is true for handling the post-mortem affairs of a deceased person. But, hiring an attorney to take care of a limited issue does not mean you failed. The law can be quite complex. One could use an expert who handles these issues every day to help you navigate the process. Probate law is rife with potential personal liability if you do not handle it properly. Navigating probate law is essentially balancing the rights of spouses, children, other beneficiaries, the creditors, and the government. Failing to balance these by the law (which is not always intuitive) can cause tremendous problems for the personal representative. You can always go through the procedure independently, but when the going gets tough, you will end up seeking a probate attorney anyway. Determining whether you need one early on would save you time and money. If you are undecided, you should analyze your situation. Hiring a probate lawyer becomes necessary if you live in any of non-UPC (Uniform Probate Code) states. However, UPC is not the only reason to consider their service. It largely depends on the size of the estate, the assets included in the estate, and the estate-debt ratio. While over 99.7% of all estates, under the current law, do not owe federal estate tax, there is still a chance that a separate estate tax will have to be paid depending on the state that the deceased resided or own an estate. Relationships and issues among family members can also be a huge factor. Family members that don’t get along certainly require legal assistance in many cases. Probate lawyers have years of training and education, as well as experience in the legal aspect of estates. They are the best person that personal representatives can get advice from when it comes to settling the final affairs of a decedent.